Whilst in the pub the other day with my cousin and his fiancé and chatting about how their wedding planning was going the subject of wedding readings came up. They said they wanted something of the ‘non-cheesy kind’ that they hadn’t heard a million and one times before so of course they asked me since I’ve been to a lot of weddings, and heard them all* (*definitely not all). I always note down ones that have really made me smile, and have a little list in the back of my head of others I think would be bloomin’ lovely to hear myself. 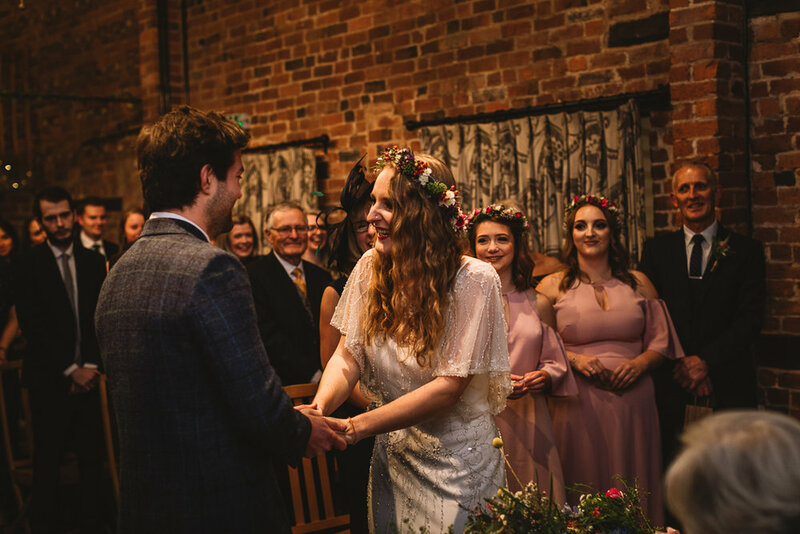 So here is a list of my favourite alternative wedding readings, be it quirky extracts of song lyrics, books, poems, films, TV shows and a lot of Neil Gaiman, because that man can write. I met him once, that was a good day. My dearest friend, if you don’t mind, I’d like to join you by your side. Where we could gaze into the stars, and sit together, now and forever. For it is plain as anyone can see, we’re simply meant to be. Please don't go away. Please? No one's ever stuck with me for so long before. And if you leave... if you leave... I just, I remember things better with you. I do, look. P. Sherman, forty-two... forty-two... I remember it, I do. It's there, I know it is, because when I look at you, I can feel it. Have you ever been in love? Horrible isn’t it? It makes you so vulnerable. It opens your chest and it opens up your heart and it means that someone can get inside you and mess you up. You build up all these defenses, you build up a whole suit of armor, so that nothing can hurt you, then one stupid person, no different from any other stupid person, wanders into your stupid life … You give them a piece of you. They didn’t ask for it. They did something dumb one day, like kiss you or smile at you, and then your life isn’t your own anymore. Love takes hostages. It gets inside you. Do you wanna come with me? 'Cause if you do, then I should warn you — you're gonna see all sorts of things. Ghosts from the past. Aliens from the future. The day the Earth died in a ball of flame. It won't be quiet, it won't be safe, and it won't be calm. But I'll tell you what it will be: the trip of a lifetime! Buffy the Vampire Slayer - Spike (with a soul) to Buffy in season 7 (perhaps only for Buffy fans….of which I am a big one). When I say, 'I love you,' it's not because I want you or because I can't have you. It has nothing to do with me. I love what you are, what you do, how you try. I've seen your kindness and your strength. I've seen the best and the worst of you. And I understand with perfect clarity exactly what you are. You're a hell of a person. You're the one. 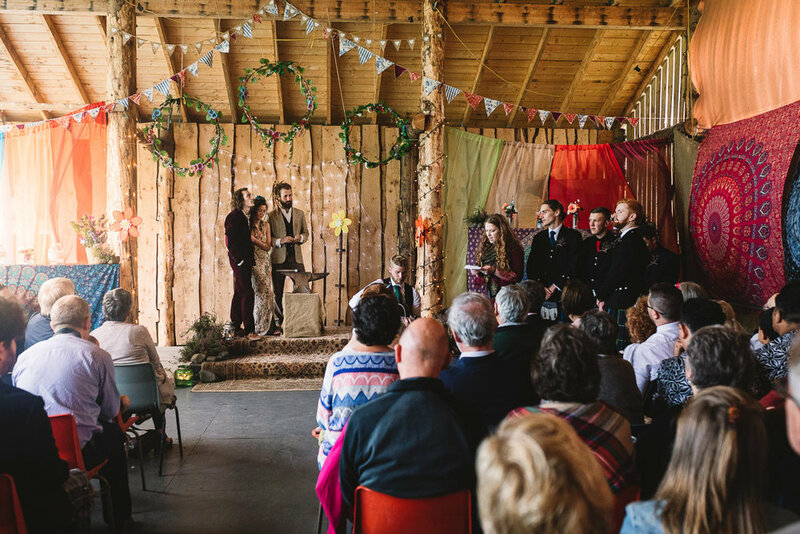 Those are just some of my fave wedding ceremony readings, do you have any other suggestions? Tell me in the comments! Bonus points if you can suggest a Moomins quote to me. Quirky, colourful and fun wedding photographer based in Birmingham. Covering Shropshire, Worcestershire, Warwickshire and the rest of the UK.